(Rick Egan | The Salt Lake Tribune) Smoke lingers in the valley where fire destroyed thousands of acres of forest, north of the southern Utah ski town of Brian Head, Friday, June 30, 2017. 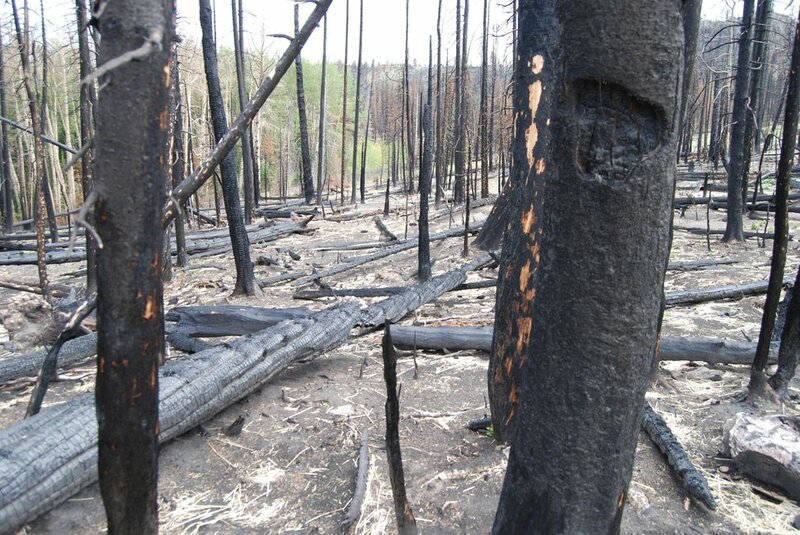 For years, county commissioners in rural Utah have complained the U.S. Forest Service’s Roadless Area Conservation Rule has thwarted sound forest management by unnecessarily complicating and even blocking projects that would promote forest health and sustain a timber industry. Crafted during the Clinton administration, the rule shields inventoried unroaded lands in national forests from some activities that would require new roads, although exemptions are available. It covers 4.2 million acres, or 49 percent of the national forest lands in Utah. Now Gov. Gary Herbert, citing this year’s long and busy wildfire season, is petitioning the U.S. Department of Agriculture to adjust how the rule is applied in Utah. The aim is to give the state greater influence over national forests and expand “active management,” such as mechanical thinning, clearing out dead and downed trees, and prescribed burns. “It is time for us to be aggressive and proactive and say we can, with cooperation, do a better job managing these forests,” Hebert said at the Utah Rural Summit in August in announcing the plan. Pushing back, environmentalists view the state’s effort as a ploy to open these lands to commercial logging and are vowing to put up a fight. Citing an analysis by The Wilderness Society, Fisher and other activists say 90 percent of the Utah land that burned from 2013 to 2017 was outside roadless areas. 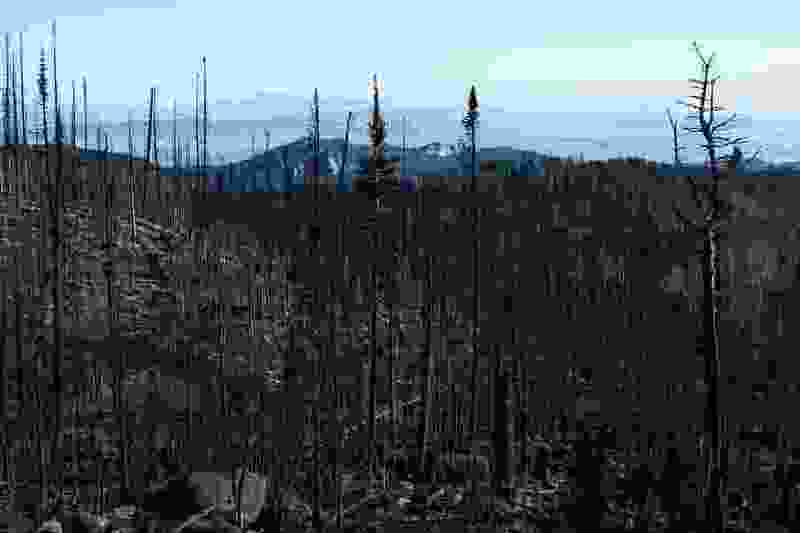 Utah’s political leaders have long objected to what they describe as dangerous forest conditions ripe for “catastrophic” wildfire, complaining that roadless protections tie managers’ hands. As the Brian Head Fire was churning across the Dixie National Forest last year, for example, state Rep. Mike Noel famously derided the Forest Service for allowing “rock lickers” and “bird and bunny lovers,” not-so-endearing terms for environmental activists, to block forest projects he insisted would have prevented the 72,000-acre blaze. The state’s effort is focused entirely on giving the forest managers the “flexibility” needed to complete the type of projects that would make forests more resilient and protect watersheds, air quality and wildlife habitat, according to Herbert spokesman Paul Edwards. The governor’s Public Lands Policy Coordinating Office (PLPCO) initiated the proposed roadless revision last month and has released four prescriptions for managing roadless areas, ranging from keeping the status quo at one end to wiping away roadless protections at the other. The office has asked county commissions to submit by Nov. 1 their preferences on how these categories would be applied to roadless places in their jurisdictions. The two categories in the middle envision new roads under limited circumstances. “Category 2 [designating ‘restoration areas’] would allow for some temporary administrative roads to address public safety threats, but no longer have the requirement of imminent threat. A road could be built based on long-term ecological needs,” said Jake Garfield, a PLPCO analyst leading the roadless rule revision. The third category, designating “stewardship areas,” allows for permanent roads to address issues that don’t pose a threat to public safety. The fourth category represents the most extreme reduction in protection, essentially redrawing the Forest Service’s roadless designations. “We have asked the counties to please only recommend parcels in this category if there is an extreme or unique circumstance,” Garfield said. State officials plan to submit their roadless-revision petition in the spring to the U.S. Department of Agriculture, which would conduct an environmental analysis if Agriculture Secretary Sonny Perdue accepts it. The review is expected to take two years. All 29 Utah counties have at least some protected roadless land, including Box Elder County with an unroaded piece of the Raft River Mountains in the Sawtooth National Forest. Uintah, Duchesne, Summit and Garfield are among the counties with the most roadless territories. Activists say it is a mistake to hand management control to the counties and note the existing rule already has plenty of flexibility. Last year, the Forest Service granted all 34 exemptions sought by forest managers for projects on Utah forests. If fire safety is a goal, the public would be better served if officials focused forest treatments on woodlands near communities, not in remote roadless terrain, according to ecologist Chad Hanson of the John Muir Project, a California-based group that advocates restoring wildfire’s natural role on forested landscapes. “We looked at millions of acres across the western United States that had fire over the course of three decades, and what we found is forests with the least protections and most logging burn the most intensely,” Hanson said. “We should have a zoning conversion about where new development should and should not be built." State officials say the plan is modeled after one completed for Idaho’s 9.3 million roadless acres during the George W. Bush administration. Activists, however, note key differences. Idaho’s plan underwent several years of study, while Utah is on a much tighter time frame — measured in months, not years. The Gem State proposed increasing protections on 3.25 million acres, a third of the total, while Utah is not proposing increased protection at all. Critics such as Ashley Soltysiak of the Sierra Club contend Utah is rushing a plan than panders to the demands of rural county officials, while deliberately ignoring science and the desires of recreational forest users who live in the urban Wasatch Front.